Laboratory moisture analyzers are used in extremely accurate and rapid test substance in small quantities of moisture determination. 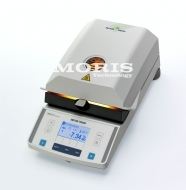 Using the moisture analyzer you can measure the current material moisture in 5 to 10 minutes. The meter accuracy can be 0.1% to 0.01% RH (relative humidity) depending on the model. Moisture analyzers may have halogen or incandescent PIR element. 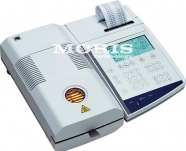 Moisture analyzers are widely used in industrial laboratories (milk, polymers, meat processing etc. ), educational institutions, research centers, and etc. 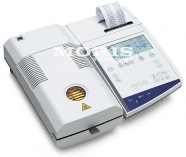 Moisture analyzers can be sold with or without the CE type approval, depending on customer needs.